Please sign up for the course before starting the lesson. I went to school for air conditioning repair and I make great money in the summer and spring, but in the winter I am broke. I spent down time at the warehouse and got to know some of the drivers at the loading dock. One day they mentioned I could get a CDL on my own by going to CDL-TEST.com Now I make 45K working a 50 hour week, but I am home every night and every other weekend I am at home also. Being a trucker is awesome when you do not have to worry about family because you're stuck driving OTR. I never worry about jobs or paychecks anymore. Now I make great money and if I want a new job all I have to do is email my resume to Jobs@CDL-Recruiter.com and they get me a better job with higher pay. CDL-TEST.com also has jobs posted from coast to coast (nationwide) and all types owner operator, contractor, OTR, commercial truck lease available. I took the lease option, so they 1099 me and I decide how and when my taxes are paid. Plus, I get great deductions after forming a small trucking company. I can deduct truck lease payments, fuel costs, insurance costs and any losses against my taxable income. Leasing a commercial vehicle gives me the opportunity to prove to myself I could be an owner-operator if I wanted to be. Then I could lease my own Big Rig and find my shipment agreements on Uhaul.com and now I am the boss of my own trucking company. I got this as my two year plan and I cannot wait to make it happen. I drove a water truck for a dirt work crew for a few years. I learned to operate a backhoe and I got my CDL so I could drive on the street. Now I get to drive heavy equipment transport. I drive a 53 foot flatbed heavy haul pulled by a Kenworth tractor. Strapping down heavy equipment and driving it to job sights is a big responsibility and big pay. I get nervous sometimes when I am not sure if the heavy equipment will clear the stop lights or a bridge overpass, and unloading in the rain can be very slippery. Multi-ton heavy equipment is not so great up off the ground a few feet and slipping. If you do not believe me, try it sometime. But hey… that is why I make the big bucks now. I still operate heavy machinery all the time because I am the one who drives the heavy equipment on and off the truck bed. It takes serious confidence to load and unload heavy equipment, but I get tons of overtime pay and make more than my brother who works in the medical field. I get to drive a new Kenworth and operate almost any type of heavy equipment like excavators, dozers, asphalt pavers, water trucks, sweeper trucks, backhoes, skip steers, etc. They all have to be transported by my Kenworth which means the job don’t get done until I get done. Driving a beer truck may sound like the ultimate career choice for a 25 year old who dropped out of community college, and it is! I drive a brand new Volvo automatic transmission full of Budweiser Beer for a local alcohol distributer. I work a 45 hour week and get 5 hours of overtime pay every week even weeks when I get done early and it only takes 40 hours. I love my job and my professional driving career. I was so lucky to find your website. Thanks CDL-TEST.com you guys made my luck turn around big time! Now I am the life of the party. People call me the beer guy even though I do not get any free bear. Although many people give me free beer and say "good job" beer guy and thanks for hauling my beer to the store. And truck driving is great. I drive around all day getting windshield time and don’t have to talk to anyone. I just listen to Sirius Satellite Radio and drive. My cab is so nice it is like cruising my sofa and my sound system down the road hauling beer for a living. I see the want ad in the Oklahoma newspaper for elementary school bus driver positions all year long. The school district can usually have a few open positions because CDL drivers with good background checks and experience are hard to find. I can work for the school district and if I stay 25 years I am eligible for State Retirement benefits. I know I can leave the school district and school bus driving to make more money over the road (OTR), but nobody else can beat the retirement package and health benefits. I need the health benefits for my diabetes and driving a school bus is low stress most of the time, so managing the health physical for the DOT is usually not a problem. I make less, but I have job security and retirement only 20 years away! I could never have dreamed I would have a great job with good pay and retirement benefits just because I went online and studied the CDL practice test questions. It was a great career choice. Thank you CDL-TEST.com. And congratulations on the new website design and now your site is habla Espanol wow that makes a big difference for people who speak Spanish. When I took the general knowledge test and air brakes test for the first time, I skipped taking the combination vehicles. I wanted to wait and study combination vehicles after passing the first two endorsements. 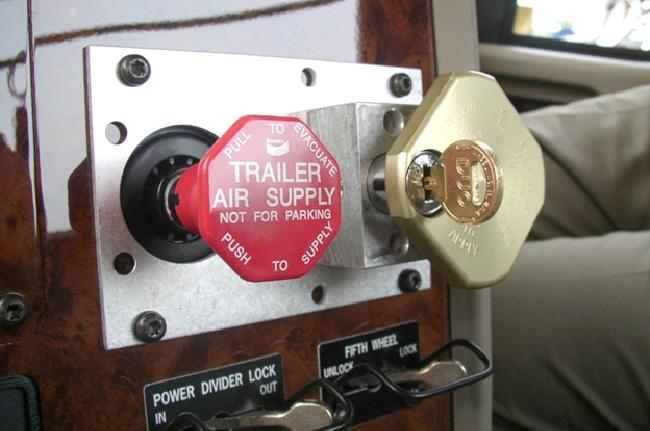 Air brakes takes a ton of knowledge and CDL Safety is usually involved with air brakes or an empty air compressor. Air brakes need to be looked at in the CDL Handbook to learn each component. During the DMV Skill Test and Pre-trip Inspection and Road Trip I was very nervous because I had very little practice with air brakes, but I remembered the advice in your CDL BLOG and on the 'Trucking How To Videos' taught me how to do CDL backup exercises and how to test the air brakes during Pre-Trip Inspection. I also learned what questions the DMV inspector would ask if he pulled me over as a truck driver. He is looking for all safety equipment and your general knowledge of commercial truck systems like air brakes, weight limits, CDL log book, and all documentation for any load being hauled. Now I can pass my skills test at the DMV easily because watching the videos and taking the CDL practice tests online made passing the DMV tests so much easier and I saved paying 5K for a trucking school! I went to the school with my CDL permit after going to cdl-test.com and only had to pay for the road trip, walk around, and pre-trip training so the cost was only $500.00 instead of $5,000.00. CDL-TEST.com saved me a ton of time and money to get my CDL Class A license. I had to be very careful to read the CDL Handbook for all safety information because truck driving is serious and dangerous business. I always thought truck driving was a man’s job. I saw a help wanted ads for Fire Truck drivers at the Memphis Tennessee Fire Dept. My professional driving career was on the fast track to success when I started as an ambulance driver for a local hospital. Then after two years I began driving for downtown Memphis Fire Department. I even got my grandmother a job as dispatcher for the fire department. She says it is the best move I ever made by getting my CDL and starting a professional driving career. Thank you CDL-TEST.com We both now have full time jobs working for the city. We both get good benefits. It all started with a practice test from your old website several years ago. I can see your new website is completely updated and works on my phone. You also added all the DMV practice test questions in Spanish. Habla Espanol means Spanish is spoken, so now your website has the CDL practice tests and HAZMAT test in both English and Spanish. I think professional truck driving provides everyone a great opportunity to make a living. Who knows maybe learning Spanish would be good for my career. Some of the patients I pick up only speak Spanish. I am 22 years old and I just got my CDL driver license! Thank you CDL-TEST.com! Thanks CDL-Test.com for the DMV motorcycle test answers! I finally passed the Motorcycle Permit Test! I signed up because I was interested in passing the CDL Class A tests at the DMV, but I had a motorcycle in the garage with no motorcycle license. So I got the motorcycle license as a bonus! Thanks CDL-TEST.com I found your website on Bing.com using my i-Phone 6 and your website works fine on both my i-Phone and on my laptop using Microsoft Windows. I found you on my iPhone and now I have a motorcycle license! I enjoy taking the DMV practice tests on my phone. It is just as easy to take DMV practice tests on my phone as it is to take them online at CDL-TEST.com I studied for 3 days with the DMV practice tests then went to the DMV and took all the test questions with complete confidence. I was off riding with my girlfriend on my new motorcycle, and I was legal with tags and insurance so the possibilities are limitless. We go riding on the weekends to places like Dallas, TX and Austin, TX. We love road trips on the motorcycle. It gives us both something fun to do together. If you want to get trained quickly at CDL-TEST.com it is simple and easy. If you don't believe me check out the online CDL DEMO at http://www.cdl-test.com/guidance-for-members/ You can see each step and get to understand how I got my CDL only 3 days of studying the practice tests and reading the CDL Handbook so I know you can too. After working 1 year at Swift Transportation, I went back and got my HAZMAT and TANKER endorsements and I went from making 30K first year to making 55K per year with health benefits. I have high blood pressure so I need the health insurance to treat the blood pressure with medication. My new company pays for 100% of my health insurance… not bad after only 3 years of professional driving commercial vehicles. I have a friend who went to college to get a 4 year degree and he only makes 40K per year, and I don't have to deal with my boss over my back every day… it is more like I am my own boss because I contract out with a major oil and gas distributer. My wife and kids are taken care of and I am home every night and weekend so I got no complaints. Getting a CDL was a great move for me. Thanks for everything. I went from CDL student to business owner and I couldn’t be happier! Thanks CDL-Test.com for DMV motorcycle answers! I finally passed the Motorcycle Permit Test! "I failed my motorcycle license test four times!! I cried the last time. Then a friend found CDL-TEST.com online. He said he had used them to pass his CDL permit test Class A. I went home and began the motorcycle license practice test. It was so easy. All I had to do was login for two days and practice for two hours. Then on the third day I went down to the DMV and passed! I am sooo excited!! Thanks tons dmv test answers you guys are the best!!! I found you on my iPhone. Now I have a driver license! "I found you guys on my iPhone. I downloaded the .pdf version of your driver license practice test and emailed it to myself. My teacher printed it for me and I read it for two days during my lunch at school. Now I have a driver license! You made it so easy for me. Nice!! Thank you CDL-TEST.com I can not wait for my first road trip. I also got the CDL permit test questions free when I signed up as a member on CDL-TEST.com. 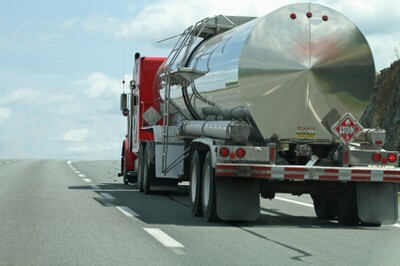 The multiple choice questions make learning the CDL test fast and easy. Plus CDL-TEST.com has a CDL Handbook online here http://www.cdl-test.com/cdl-manual/ So if I get stuck on a question I can easily check and see why the answers are the correct CDL TEST answers. I just got my driver license! Thank you CDL-TEST.com Thank you so much! I just got my driver license! My uncle Willie Pat Lynn told me about your website. I usually do not take tests well. I have trouble concentrating sometimes so I decided I may need a little extra help. Boy was I relieved to find CDL-TEST.com they helped me pass after only three days of study. Every morning before school I practiced during breakfast. I barely study an hour each day. I thought I may have to take the test two or three times but NO WAY I passed on my very FIRST TRY! I am so stoked you guys. I love DMV Test Answers! The domain name https://t.co/1LVZCzzRr4 is for sale... just message me on twitter for details. inform you about newest projects and promotions.